IN a bid to sustain the gains of Hidilyn Diaz's historic silver-medal performance in the Rio Olympics, the Philippine Sports Commission (PSC) has bared plans to construct a multi-billion peso ‘Philippine Olympic City’ at the Clark Green City in Clark Field, Pampanga. PSC chairman William 'Butch' Ramirez bared the sports hub will be one of the future main attractions at Clark Field - an all-in-one complex that will house national athletes and provide sports facilities that could serve as the main venue when the country again hosts the Southeast Asian Games in 2019. “It will be an all in one place, we will house our athletes there, we will train them there and it will be the realization of the longtime dream of finally having a worthy sports facility for Filipino athletes,” said Ramirez. The soft-spoken former campaign manager of President Duterte said the plan was broached after an impromptu breakfast meeting on Thursday with Executive Secretary Salvador Medialdea, who happens to be with officials of the Bases Conversion Development Authority (BCDA) led by its president Vince Dizon. “Actually, it was just an accident, although we admit, this plan has already been in existence for the past administrations, kaso nagkataon nakausap namin ang BCDA officials with the executive secretary and it happens, gusto nga raw nila magkaruon ng ganun,” he said. “Ang maganda kasi rito is magiging part and parcel ng development ng Clark Green City ang athletes’ hub, kasi magiging part ito ng sports tourism attraction sa lugar,” added Ramirez. Ramirez hopes that come 2018, the sports complex which he estimates will cost between P3 to P6 billion and which will be built by the BCDA, will be inaugurated. “Hopefully by that time merun na, so dito na rin natin dadalhin at gaganapin ang SEA Games hosting natin, hindi na tulad dati na may Bacolod, Manila at Cebu. Ang maganda pa sa sports hub na 'yan na gagawin is it is only 15 minutes away from the Clark International Airport,” he said. Asked what will happen to the century-old Rizal Memorial Sports Complex in Manila, Ramirez replied: “Bahala na ang may hawak ng rights nito. Basta we will transfer all our facilities there, masyado nang congested ang Metro Manila." Meanwhile, Ramirez bared that the recent silver medal feat of Diaz in the last Rio De Janeiro Olympics was instrumental in the fast tracking of the new sports hub. “We need to sustain this, we want to prove that after Hidilyn’s success, we Filipinos can again win in international meets. 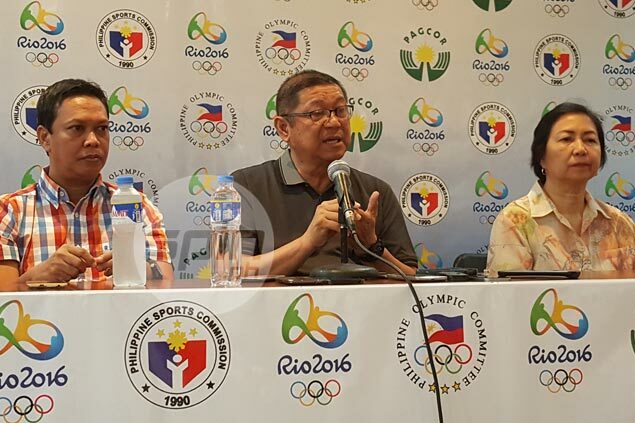 Hindi pwedeng isang medal ngayon sa Olympics, then 20 years ulit ang kasunod,” he said. “I will already bring the proposal to the President for approval, anyway, I feel that this is the missing link to Philippine sports’ master plan and he will like this. The executive secretary is already amenable to it,” added Ramirez, who is in his second term as PSC chairman. Aside from providing state-of-the-art sports facilities, the PSC is also looking to send Filipino athletes and coaches abroad for training. “Hindi na tayo tulad ng dati na magpapapunta ng foreign coach dito, tayo na magpapadala dun,” he said. As for Diaz, Ramirez bared that the 23-year-old weightlifter has already committed to again represent the Philippines to the coming 2020 Tokyo Olympics. “She said gusto niya, so aalagaan na namin to. Hindi na nga siya naka dorm ngayon eh, kasi baka magkasakit. This is the same plan we have for our other elite athletes,” he said.